Welcome to Nouvell Floride luxury camping site. Nouvell Floride holiday camping site is located in sunny, southern France. Its close proximity to many Meditteranean inlets and the Canal du Midi gives guests variety and choice. It lives up to it's four star rating by extending superior hospitality to holidaying families. With excellent onsite amenities, palatial mobile homes and a wide range of activities on offer, Nouvell Floride takes luxury camping to an unprecedented level of quality. For availability information that suits your travel itinerary, check in with LUX-camp today. What's special about Nouvell Floride? Weekly welcome party hosted by accommodating, friendly staff who are fully bilingual. 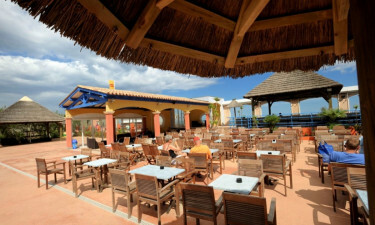 Boasts a lively beach club which guests can join. Conveniently situated between idyllic beaches and the breath-taking Canal du Midi. A Nouvell Florida camping holiday is the quintessential definition of a real getaway. The staff aim to meet exceptional standards and are only too willing to help you ease into a peaceful, serene holiday mood. Their onsite spa is fully equipped to cater to your every whim and it's specifically designed to create an atmosphere of relaxation and calm. Their wide range of pampering delights include massage and sauna as well as other popular beauty treatments. When you're not enjoying the convenience of your luxury, fully equipped mobile home, why not get involved with the camp site's very own, fun-inspired beach club? They run organized zumba lessons, water aerobic classes and aquabike sessions. There are lots of other physical fitness activities for keep-fit enthusiasts so there's something for everyone. 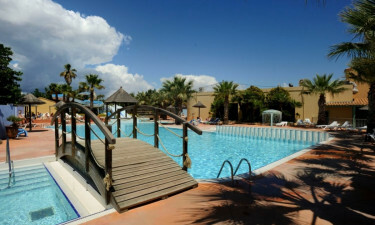 Afterwards take a dip in the swimming pool complex that comes complete with water slides and whirlpool river. The Canal du Midi is a spectacular natural feature which is linked to the Garonne River to the Mediterranean sea. Its wondrous beauty is of great historic importance to French nationals and it stretches to 240 km. It runs from the city of Toulouse all the way to the port of Sète. The eye-catching attraction enjoys a huge influx of tourists from countries like Germany, Switzerland and the Netherlands each year. Take a stroll along the banks and watch the boats sail by. Nouvelle Floride holiday resort has a resident restaurant, which caters to all tastes with an a-la-carte-menu. The restaurant is charming, with contemporary décor and the friendly staff will offer you a choice of seating arrangements both inside and outside. There's a small take-away if you don't fancy cooking and a lively beach bar where you can sip on a cocktail or enjoy a glass of wine. The camp site has a mini-market and it stocks everything that one might need for a self-catering camping holiday; fruit, vegetables etc. In true French tradition, you can purchase and enjoy fresh bread and pastries on a daily basis.